I watched today's clash between Slovakia and Russia with interest, in part to see how the Welsh and English performances would stand up in comparison. What a fun game to watch it was with Slovakia dominating for the majority of the watch, but Russia going into do-or-die mode for the last fifteen minutes. It wasn't enough for Russia though, leaving them with it all to do in their final match against Wales. Wales of course, also need to impress in at least one of their other two group games and it's certainly hard to count them out when they've had such a determined start. England's game against Russia was one sided enough to have confidence that they'll make it through the group, but as with everything involving England it often feels like a bit of a struggle along the way. 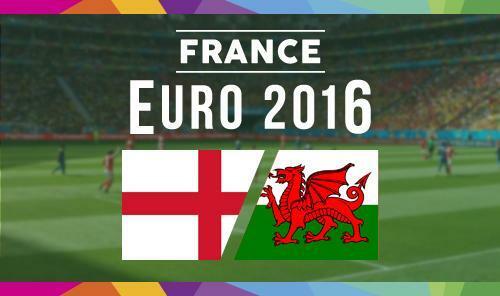 They're understandably firm favourites against Wales at 4/7 (the draw is 57/17 and Wales to win is 13/2). I tend to steer clear of odds-ons but I can well understand why some would place their patriotic pound on England in hope of doing the business. The same can be said for Wales supporters really, as they have a right to be confident of the teams abilities and will have something else to cheer about too if their 13/2 bet comes up! HT-FT England at 5/4 is perhaps the bet to go for if you're confident of England putting in a good performance from the off. Also, with all of these low scoring games so far I (still) fancy a bit of a goalfest, so once against will add Over 2.5 goals into the mix. In some ways it's a win-win. England 'should' win, but if they turn in a flop performance, Wales are likely through the group and I'll become an honourary Welsh Dragon for the rest of the tournament. Tune in to the game on BBC, Thursday at 2pm!